Continuing the ongoing series of interviews with creative artists working on various aspects of movie and TV productions, it is my delight to welcome Carmen Cabana. 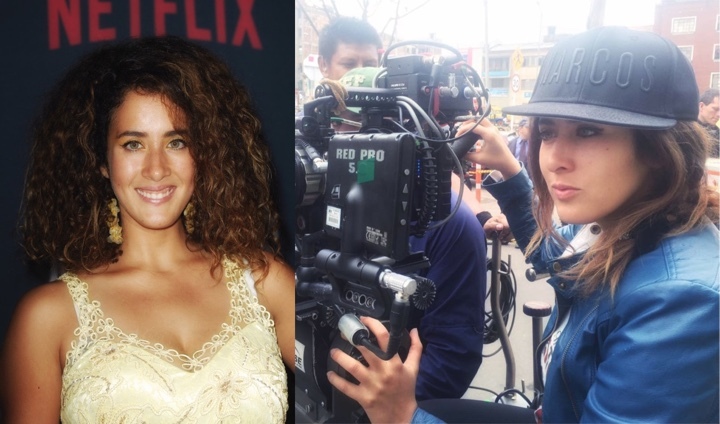 In this interview we talk about Carmen’s cinematography work on the second season of “Narcos”, being a part of the new digital generation, the art of telling stories with light, the ever evolving technological landscape of her field, the crazy pace of shooting for episodic television, collaborating with the other two cinematographers of the show, planning and executing elaborate action sequences, and working for the very first time in her home country of Colombia. Carmen: My name is Carmen Cabana, and what drew me into the industry was the passion for telling stories and not having a job behind a desk. I wanted to spend my life doing something that would change on a weekly basis, if possible. The film industry made sense for that. Funny enough, I came to US to pursue writing, and the more I wrote, the more I realized how terrible I was at it. I have no talent for writing, but I have a natural talent for cinematography, lighting, camera, and composition. When I look back now, I find that in a sense I am telling stories by writing with light and images. I’m very happy with that. I’ve had an opportunity to work on several productions that involved different topics and countries, and people from different nationalities. That’s what I really wanted with my life – to be surrounded with people who would stimulate me, and who I would render service in return. Kirill: Did you have a formal education to become a cinematographer? Carmen: It was more of a transition into it. I went to the Art Institute of Los Angeles, but I only did a year and a half in associate’s program there. Most of the classes were oriented towards editing, screenwriting and directing. We had one cinematography class and it was very basic. We learned three point lighting, F stops, etc and with that I’d be lighting interviews for the rest of my life [laughs]. It was not enough of what I needed for cinematography. In my second year at that school I did a documentary in Venezuela about a boy growing up in a neighborhood of gangs. I did everything on it – directed and shot the whole thing. People really appreciated it visually, and that’s what got me my first short films. After that I was blessed that somebody saw one of my shorts called “Miles”, and they liked it so much that they called me to work on a feature. That was “The Sinners”, and after that I did “Letters to Elena”, “The Border” and a bunch of others. I did it backwards. I didn’t expect to be a cinematographer, but as people kept on hiring me and pushing me in that direction, I had to learn. I remember my first production “Miles”, reading “Masters of Light” book days before the shoot to figure things out. I also read “Reflections” which is a book of interviews with cinematographers, forcing my brain to understand how they think. How do you tell that story? How do they make the decisions that they make? Even now when I start on a project, I go back to written sources, like the American Cinematographer magazine or new books. Kirill: Would you say that you’re a part of all-digital generation, or do you work with film as well? Carmen: Unfortunately, I’m all digital. My school program was in motion picture and video production, but we never learned film. I’ve only shot Super 8. It’s harder to teach yourself to work with film. You’re talking about film stock and expensive chemical processes that are becoming less accessible. So it never happened. I keep on hoping for a project where the client is going to demand film so that I will have to go that way. So far for me it’s been keeping up with the technology demands of the clients. I haven’t made the time to learn film, sadly. Kirill: There are some advantages to digital camera. People can see what is captured on the attached monitors, and the equipment is lighter and more manageable, perhaps? Carmen: I do work out quite a lot [laughs] so the camera weight is not a problem. It’s all about balance, even with the heavier cameras. Sometimes I use a light meter, and sometimes I gauge light stops with my eye. I’m definitely spoiled by being used to the false color and histogram on digital cameras. You look at it and you know the range you’re in. It would be a learning curve. I’d have to at least understand the relationship between a particular film stock and how it is processed. Working with digital all the time, I know the sensors like the palm of my hand. I know different circumstances and how much I can push into post-production. Kirill: It also feels that with every year that passes it becomes harder to work with film because there’s not much infrastructure left around it, from the companies that make it to the labs that process it. Carmen: I think that down the line film will be very much on demand again. It is a beautiful format, and the nostalgia of it will continue to exist. There are well respected film makers that insist on working with film. As more people do that, they will be forcing productions to go in that direction. It’s like vinyl. When I was a kid, vinyl was around and then it disappeared. And now it has become part of the hipster culture, and I actually collect it. Some of it now is pretty expensive. I bought a “Massive Attack” vinyl for $300, and people buy that because of the nostalgic appreciation of the art and particular sound quality. I think that film will never disappear. I feel that you have a personal passion towards film, and more people will wake up to that and push the format to be as popular as it used to be. Kirill: Perhaps ten years ago digital cameras were nowhere close to the dynamic range of film, especially in very light and very dark stops. Would you say that nowadays the digital sensors capture as much as film? Not only you can capture crystal clear picture, but there is also a wide variety of filters that you can apply to emulate that older look of film. Carmen: For instance, I love “American Horror Story”. I heard a few interviews with the cinematographer of the show, Michael Goi. He talks about how on some of the sequences he takes the film stock and puts it through stuff like lets say food, dirt or sand. That way he gets some really cool organic things, and I don’t think we can do something like that with digital. You have some plugins and software, but it’s not like that. I look at CGI (computer-generated imagery) and I’m not a big fan. It takes a lot of money and time to produce things that look realistic, but a lot of it looks fake and I hate that. At the same time you can’t plan for some of these effects and textures. You don’t visualize it. You can use coffee to develop film and see how it turns out. The accident of that can be so beautiful that you couldn’t craft it or reproduce it on a computer. As far as digital looking like film? 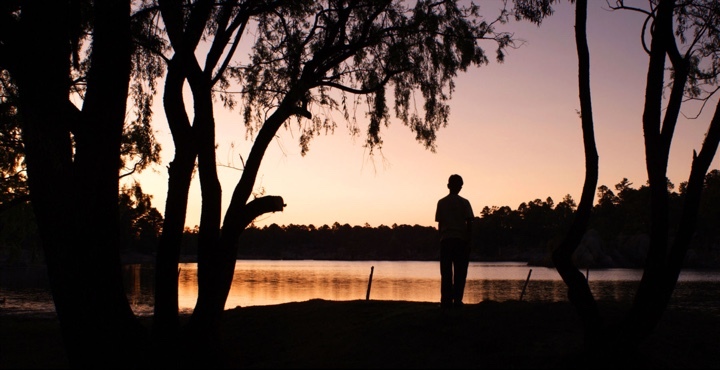 My second feature was “Letters to Elena” and everybody that saw it thought that it was shot on film. That was actually shot on the very first Red camera before all the fancy sensors that came out later. I think that what worked really well on that film was the exposure. If I may say so [laughs], the exposure was perfect. I was able to preserve the information in all the clouds, for example, and even in the people’s clothing. That is the main problem with digital, especially back then but even now. The latitude that you have on film between your highlights and your low points is much better. I was very careful on that film to handle exposure. You couldn’t tell that their clothes were wet, but when you framed the additional layers in like the house and clouds in the background, it worked. We hosed so much. We hosed houses, rugs, floors – we used so much water. Thankfully we were next to a lake and not in a dry area [laughs], and the water really helped bring the exposure down to have a perfect balance of information and textures. It is possible to achieve the look of film on digital. My fear nowadays is that as more resolution keeps coming out, things keep getting sharper and sharper. I hate the ultra-prime lenses paired up with a 5K camera because they are so sharp. There are things that you don’t need to see. I’m not interested in the actors’ skin and pores, unless it’s something like a western and it’s that drop of sweat and the dirt on their faces are a part of the story. But otherwise having so much resolution becomes distracting in my opinion. Kirill: You said that you tell stories with light. What do you tell people when they ask what you do for a living? Are people surprised to hear that there’s so much involved to set up the lighting and find the right angles to convey the right emotions? Carmen: I tell people that I help tell the stories through light and camera. Sometimes my answer is that my job is to translate, on a technical level, the vision of my director for a film. My job is to be an interpreter and a translator, and sometimes it is also to be a psychologist [laughs] and a leader and all these other things. Every client is different. I think the job of a cinematographer is to serve the whole team, to take their dream and turn it into something tangible that other people can actually see. Kirill: Do you think people are surprised to see that you have to put a lot of thought and intent into setting those lights and finding those angles, to be that psychologist and find that right visual language for the story? Carmen: A lot of people take for granted what my job really entails. Digital is getting so cheap, and you can shoot movies with an iPhone. You have a new generation of people who call themselves cinematographers, but it’s not enough to grab a camera and go outside. There is an art and craft, and there is a purpose for everything. I think that nowadays producers need to get educated. I often hear from them that we should do everything with 2000 ISO and that way we won’t need any lights. First I take a deep breath [laughs] and then start by saying that lights are not there to get an exposure. That’s the least important. Light is how you shape things, how you portray a character or a place, how you hide mistakes, how you guide an eye, how you create emotion. That misconception about sensors just to get exposure is a mistake that people need to get over. Same things goes for lights. LEDs have great advantages, but they are not the only way. Recently I did a project and decided to go with all practical lighting because of the space and the story. It was also going to be shot with Steadicam that would be looking everywhere, and I thought that the appropriate thing for that particular project was to use practical lighting but I didn’t just turn on lamps, I pre-planned which lamps to have, where to place them and which bulbs to use. But sometimes you want to go dramatic, or natural. Whatever natural lighting is already in a space might not be doing what you need, or it might not be doing it for the length of time that you need in order to get your shots. There are a lot of directors that call themselves directors, but they are not. Just because you say “Action” and “Cut” doesn’t mean anything. You really have to know what it is you’re going after. You have to be able to communicate with everybody, and shape the whole thing into something cohesive that reflects your intention. Kirill: When the equipment becomes cheaper and more available, it makes the barrier to entry much lower than it was a generation or two ago. Perhaps the positive side of that is that the voices that couldn’t be heard back then now have a much better chance to be found. Carmen: You’re absolutely right on that. That’s a topic that I’ve spoken on before. I call it the democratization of film making. Back in the day making an independent film was nearly impossible, even in the short format, if you were low on resources and connections. Now, technology is becoming more available. Youtube was a game changer because it allowed people to have a platform to get their work to be seen. Kirill: Transitioning to your work on the second season of “Narcos”, how did that start for you? Carmen: I landed that job through Lorenzo O’Brien who was the line producer on the show. I met him before through a director called Nick Lyon who I worked with on “Bullet”. 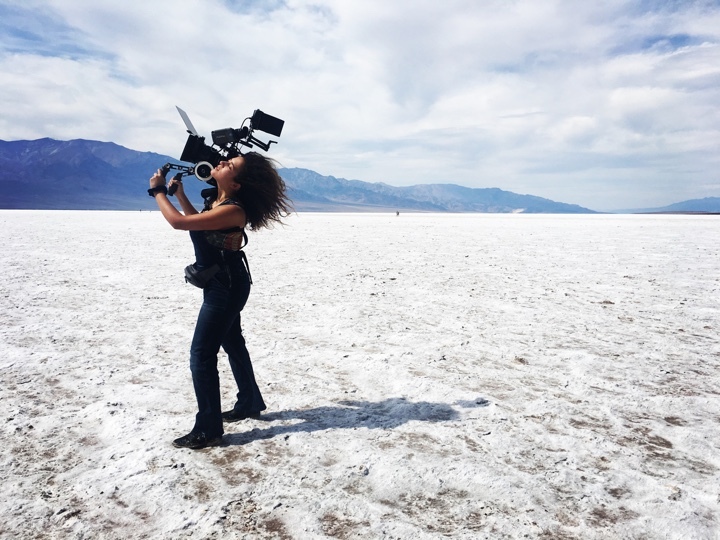 I’m a female cinematographer who loves action. I hate romantic comedies, and I’m not a fan of coming-of-age films, with a few exceptions. I never wanted to be in that category, which is were most women are for some reason. I wanted to do action, thriller and horror films. I did “Bullet” and then another action movie “Assassin X”, and those were on my action reel. I was on a vacation in Colombia when Lorenzo called. He told me they were looking for a cinematographer to work on the show. They had the first unit set up, and they wanted somebody from Colombia. I went for the interview, and I was so blessed to do it. I never worked in my country until then, and “Narcos” was my first production there. Kirill: How much time did that production take for you? Carmen: Physical production started in October 2015, and we wrapped in May 2016. I happened to be in Colombia in August 2015, and I met them in September that year for pre-production. We shot continuously all those months with a 15-day break in December. Kirill: I look at all these TV productions in the last few years on prime cable and streaming services, and a season is almost always between 8 and 12 episodes. Is that because you simply can’t fit more episodes at that quality level? Carmen: I think we could have kept on shooting, except we killed Pablo [laughs]. But probably no, the bulk of work is quite a lot, especially for the writers who are constantly developing the story. Sometimes we weren’t even getting the scripts until very close to the shoot. It is hard to write scripts for 23 episodes at this level. At the level of production quality of “Narcos” a show needs to have fewer episodes. We had two very large units shooting mostly on location, but also on sets that were being built. It’s a period show, so a lot of stuff on the physical locations needed to be modified. You have to pay a lot of attention to be accurate to tell that story, so we had to watch our for modern cars in the frame and things like that. Taking more time to work on an episode allows each department the time to process all that. Everybody has their unit behind the scenes to get everything going. Kirill: There were a lot of recurring sets in this season – Pablo’s main finca, the police station, the embassy and a few others. What gets in the way of shooting all the scenes that happen in that one set back to back, and then go to the next set and so on? Carmen: We were doing two episodes at the same time, for this exact reason – to be efficient with the sets. Some of the sets were built, and some were real locations. For example, they’ve built some of the police locations, offices and apartments. Pablo’s houses were all real houses that were rented. At the end of that you have to leave and is more difficult to come back. So for the sake of efficiency we did two episodes at the time. But we didn’t do more at the same time, because we didn’t have all the scripts ready. And also, you don’t want to put the actors through that. You want to have a progression of the story. Kirill: You have three cinematographers that worked on this season. How do you strike the balance between creating consistent visual language for me as a viewer and having space to bring your own style to the show? Carmen: In the case of “Narcos” the overall style was defined in the first season and its pilot. 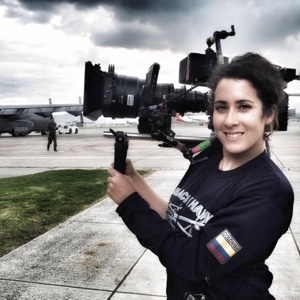 The cinematographer on that was Lula Carvalho. He established the documentary style look with warm tones, grain, deep shadows and hand-held movement. In Second Season, the first unit DP [director of photography] on the first two episodes was Luis Sansans, and then he rotated with Adrian Teijido on every two episodes – and I was with the second unit on all ten episodes. We had meetings between the three of us to go over the specifics but overall we followed the esthetic established in Season 1. The season came out and people really loved the aesthetics. You make those decisions where you commit to certain challenges. 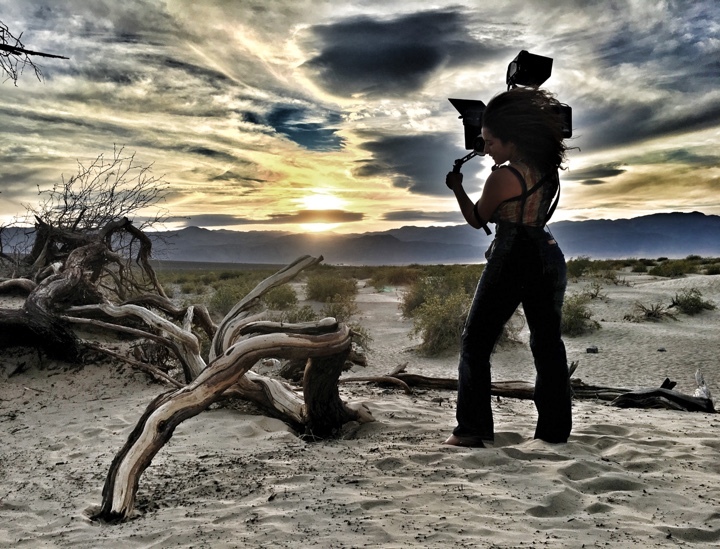 You take a creative license to go with your style as a cinematographer. But the overall rules and the tones of the camera remained the same. My major challenge was due to me working simultaneously with the first unit cinematographer. Sometimes we would overlap, but we were barely ever on the same set at the same time. They divided the scripts that way, and sometimes due to schedule constraints the first unit couldn’t finish their sequences. Then my unit would come in, sometimes a week later, and we had to recreate the lighting setup to shoot the missing pieces. The two gaffers shared drawing plans with locations of lights. They would send a person from their unit to tell us where things were, and vice versa. We also used a software called PIX where we could watch all the dailies in the evening. I could watch what he shot, and he could watch what I shot, and if something wasn’t matching or following our rules, we’d be talking on the phone about it. And of course there was a whole post team supervising our work as well. 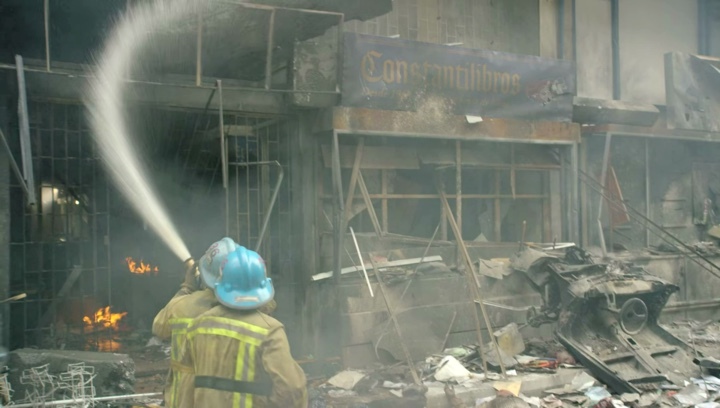 Kirill: As the action is happening in multiple cities across Colombia, did you actually go to all those locations? 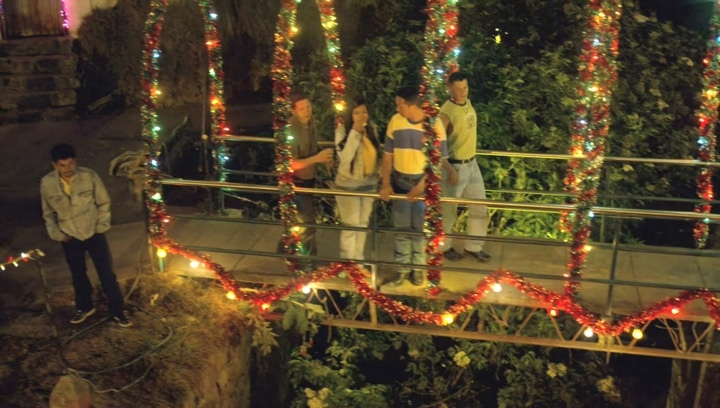 Carmen: Most of it was shot in Bogota, and we went to Medellin twice for a very brief period of time. The first trip took around three days, and the second time when we did Pablo’s death sequence took about a week. And that was tricky because Bogota and Medellin don’t look alike at all. Kirill: And the cities have evolved over the last thirty years. You wouldn’t want to have modern buildings in those sequences. Carmen: And especially the cars. Traffic in Bogota is crazy, and good luck trying to block streets. My unit spent a lot of time in the comunas. 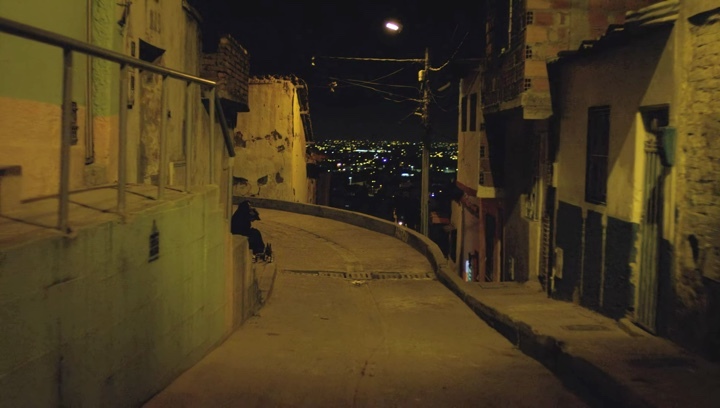 And those are the most dangerous neighborhoods in Bogota – that’s where all the cool houses in the hills were in the show. The hotel, the brothel, Peña chasing the bad guys – that was all there. We did all that on practical locations, including the motorcycle chases. I knew how dangerous those places were. The production was very smart to partner with the locals. They were really nice. They helped out, and as we kept going, they kept remembering us. And at some point they even started asking us when we were going to come back, as we were waiting for the new scripts to get to us. That area has a very authentic beauty to it, and that beauty was preserved from back in the day. 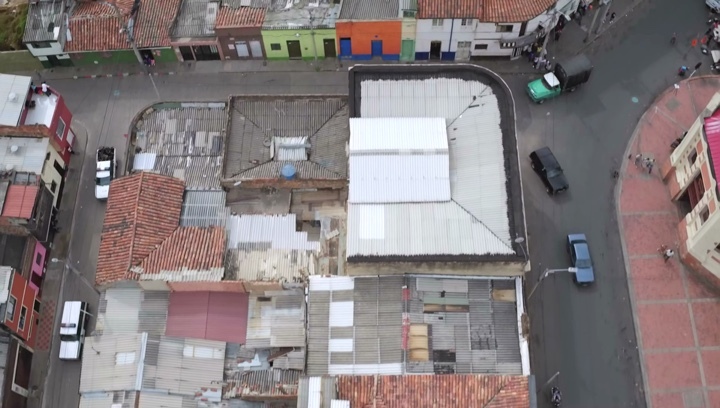 Those are Bogota’s poorer areas, and the government is not investing a lot of money to fix and clean. Unfortunately for them, and fortunately for the production, those houses still look like they did back then. Kirill: Going back to the action sequences and chases, how much of that is planned beforehand? Did you know exactly what was going to happen at every single point, or was there something left to chance as far as what the camera happens to capture? How many takes would it usually take to shoot one of those sequences? Carmen: This is the advantage of “Narcos” versus all the other films that I’ve done so far. On “Narcos” everything was planned. 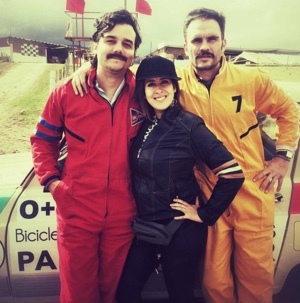 We had two incredible stunt coordinators, Jordi Casares and Markos Rounthwaite. And my unit director Batan Silva is a genius. He has great ideas about action in storytelling. He worked with the stunt coordinators in pre-production to figure out where the action will be, always keeping in mind how much time that sequence would represent to make sure that it was realistic. He would tell me right away what they were planning on doing, and then we could discuss the angles. We had meetings with all the departments present, and they would go over each sequence line by line. How many cars were going to be in the sequence? Which one was going to explode and when? What is this motorcycle going to be doing? How many bullets do we need on this character? All that was tested ahead of time by the special effects team in another area, and when it came to the day, everything was pre-rigged. If somebody was going to fall on the floor, they would have mats painted to look like a real floor. The sequence where the library blows up was such a treat. They built miniatures to cover the facade of the building. Then you place it in front of the camera at the right angle so that it looks like part of that scene. The art department did a lot of things like that. Let’s say the building already looks like it caught on fire, but because of that fake miniature in front, it looks all pretty. And then when the time comes to shoot the aftermath of the explosion, we removed the miniatures and shot the real thing that already looked messed up. I love when you know exactly what is going to happen. When it came to production, we were very efficient. Even the camera positions were already defined. Of course things may change on the day. The wind matters, and an actor might want to modify something. They are running and shooting at each other, and sometimes things change. Some of the stunts men from Colombia were not that good. Say, they were supposed to fall forward when they die, but they fall back and make the effect look bad. But for most action sequences we did at most two takes. Kirill: How much went into the sequence at the end of episode 7 where they blow up a car near the presidential palace? Carmen: That one was a big conversation. We had to shoot them going inside the library, and then the family coming out with the little girl skipping, then the car blowing up, and finally when the street is destroyed – the whole thing had to be shot on the same day. We picked one street in Bogota and it had very heavy traffic, so we could only block off two blocks of it. They determined that this was the only street for that scene during scouting. We planned to shoot the part with the girl skipping around first, and all the destruction that the art department was going to do afterwards. The architecture of those building was incorrect. They didn’t belong to the era, and the art department made miniatures the size of a shoe box. And the fake car was the size of a toy car. We knew ahead of time what platform the camera would be on, and we knew the lens that we’d be using. We didn’t want shallow depth of field, because you want the scene to look realistic. And you can’t have rain, because in the perspective the droplets of water next to those miniatures would look like meteors [laughs]. We got lucky because it rained the day before, and it started raining again as soon as we wrapped. When you’re working with miniatures, you have to watch the lighting. The lighting on your buildings has to fall the same as the lighting in the street because you have people and traffic in that perspective. 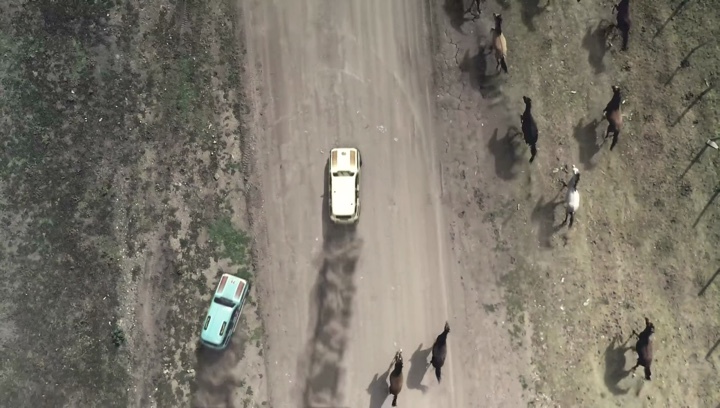 Kirill: So essentially you place the miniatures in front of the camera, and position the camera in such a way so that it sees the street behind them. Carmen: Exactly. The angle is such that the miniatures are in the foreground, and the bottom of the frame is the street with real people. It’s a matter of patience too. There were pigeons that were not supposed to be in the scene, and when they got scared and flew away, the perspective had them flying inside the buildings. So we shot the miniatures like that for the segment with the girl. The car that we blew up was a fake little model, with some post-production work. And the rest of the destruction was Steadicam and handheld cameras covering the whole thing. I was very impressed with how the art department made the whole street so messed up with fire and destruction within an hour. And then the rain cleaned up the street. This is what excites me. Everybody pulled off something amazing in one day, and it was so realistic. Then you have the earlier part of the story where Blackie parks the car. He goes there during the rainy night to park it, then he gets a phone call, and he stands there by the car smoking a cigarette and looking inside. That was done days later, as we went back to do that part. And then somebody in the production told us that they had a challenge for us. 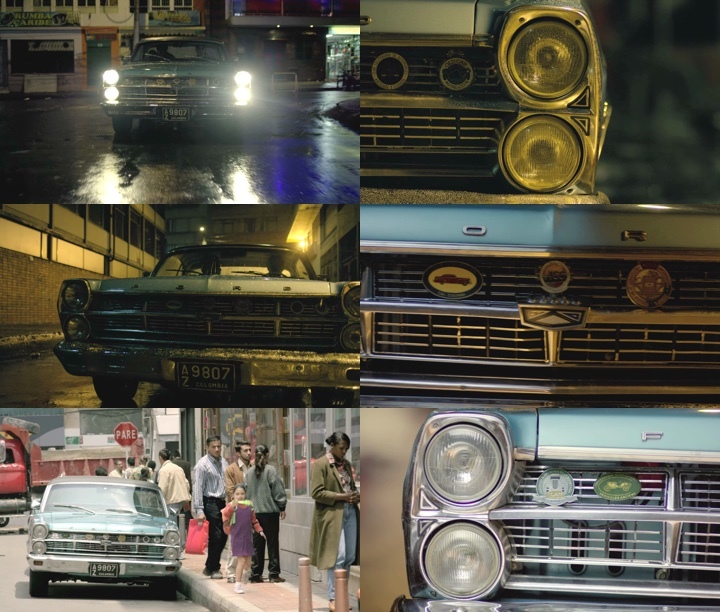 They wanted a transition shot where we see the bumper of that car at night time, and it transitions into the next day. When you look at that shot in the final cut, it lasts around four seconds and looks really simple. But it was actually difficult to execute. How do you move the camera from point A to point B without seeing your reflection? How do you limit the color of the street lamps at night to just half of the front of the car to transition mid move into the sun reflecting on the car to create the illusion of the “next morning”? And how do you deal with the backgrounds, especially on the “day” side when is actually pitch black and raining at the moment in which we are doing the shot? We talked about it with my wonderful gaffer Pacho Garay, and I love those challenges. That’s where the fun of film making is for me. We built a tent on one of the sides with HMI lights with multiple flags to create the effect of the sun rising over the car. And we parked our white truck at a distance behind the car, overexposed it and shot it with a very shallow depth of field. When you get to that side, all you see is white and bright, and when you front-light the rain, you don’t see the water. That’s how we hid the rain. It looked like sunny day time. And on the other side we lit it with tungsten light with a low sodium gel and we flagged the hell out of it to prevent reflections. It worked out great, and they’ve sent out emails to my unit congratulating everybody. Carmen Cabana’s work on the second season of “Narcos”. Right column shows the transition from rainy night to sunny day. Kirill: Does it become easier over the years as you build up this collection of tricks to solve all these challenges? Carmen: It depends. That’s where I’m lucky that I’ve worked on 22 movies in addition to “Narcos”. Every movie poses its own challenge. Sometimes the challenge that they throw at you is a challenge that you’ve already gone through in the past. And sometimes I’m surprised by a director that comes up with something and I have to really think. I really love that. If you remember the restaurant robbery scene from “Pulp Fiction”, that couple was sitting in the booth and then they got up to rob the whole place. I had something similar on “Lineage” where the father and the son are eating, and the father is going to rob the place as the son is coming back from the bathroom. My director wanted me to do a 180 degree dolly move, while the camera does a 360-fast spin and we land on the gun and the face of the guy holding it on the other end of the restaurant. So I’m playing it in my head. The dolly is moving behind these tables, and at mid point the camera has to do a 360-spin, looking at everybody including the sound guy and all my equipment, and everything happens in under 10 seconds. The only way to make that 360 degree shot was to have the head of the tripod super-loose on the dolly, and as I spin it with my hands, I have to duck under the camera so that it doesn’t see my face, and then blindly pop up and slap the camera with both hands to stop it from doing the second circle, right at the point where it points right at the actor’s face. We did 13 takes. Because I couldn’t see, I could only guess when to stop the spin and it was all happening so fast. During one of the takes the handle of the camera came up and hit me in the face. I ended up with a black eye [laughs]. The good thing about that fast spin was that it blurred the sound guy and everybody else. If you move it frame by frame you will see it, but the speed of the motion blurs that. When we finally achieved it, we were jumping. It was so cool to do that. That takes a director’s ambition to challenge you to do something like that. Kirill: How much of what I see in the final cut was captured directly in camera, and how much of it was color-corrected in post production to create a more seamless and consistent visual experience? Carmen: I was not present for the color correction process, but when I compare the final shots with what I saw in the dailies, it was very similar. If anything, they evened the shots. 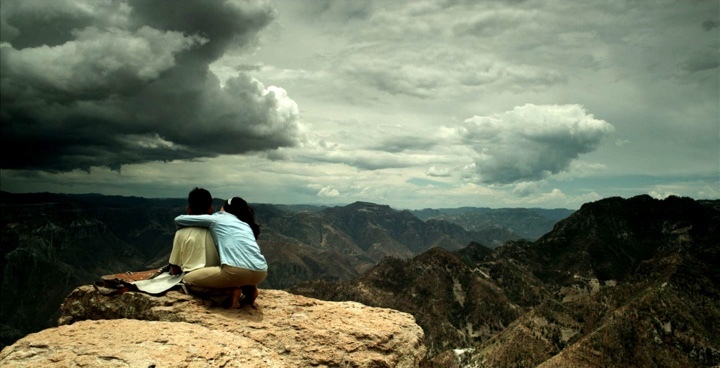 Sometimes we would get clouds or other natural shifts that we couldn’t control. But as far as creating the look, that was definitely created on set and not in post. Kirill: If you look at all the scenes and episodes that you shot for this season, how much of the footage ends up used for the final cut? What kind of an overhead are we talking about, and is it much different from your feature work? Carmen: It’s hard to calculate the exact ratio of what is discarded. There are definitely things that don’t make it into the cut. The format is around 52 minutes, and it has to move at a certain pace and have cliffhangers. When it comes to episodic series, it moves way faster. Luis Sansans who did the first unit is a big fan of fluid masters. He treated a lot of his action sequences that way, and he did amazing things that I saw in the dailies. The camera would go through the room as the characters come in, shoot and move everywhere, and it follows the family as they move throughout the house and into the car. That’s really difficult to accomplish. And then later when I saw that episode, it was chopped. I wouldn’t say that all that work was wasted, but it was a pity that it got cut into little pieces. I’m sure they did it not because they didn’t appreciate it. It was really well executed. I think they had to cut it for the length of it. If you have to fit so many scenes within the episode, you can’t spend 4 minutes on a sequence that lasts the total of 2 minutes. That happened to the sequences that I did as well. When I saw them, I thought that they went so much faster than we were hoping. It’s different on a movie because you have the liberty of playing with the length. Kirill: It’s such a fast-paced show, with cartels fighting each other, fighting police, fighting the federals. Carmen: Everything is very well motivated and very real. That’s what I love about that show. I’m originally from Venezuela, and we moved to Colombia in the ’90s, as some of that was happening. 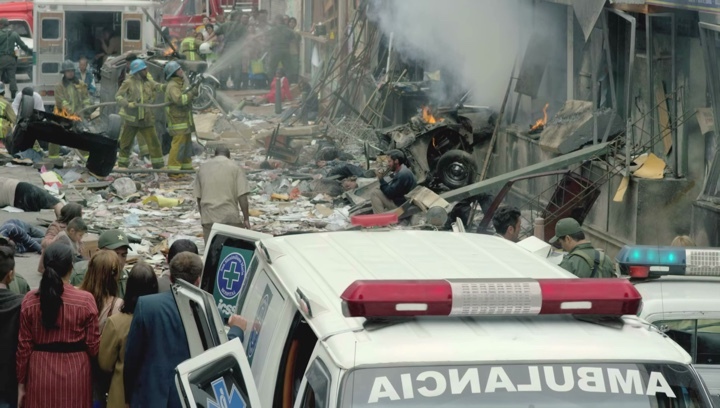 I remember my first year in Bogota, experiencing some of those explosions in the city. The maid of my aunt died in one of the explosions. I was once in a restaurant with my boyfriend, and after we went to the mall, that restaurant blew up. I went through a lot of the things you see in the show. Filming these things was surreal for me. Actually the show is not as graphic as some of the things that happened in real life. Kirill: That goes back to what you said that the show adopted a documentary style from the beginning, especially with real TV footage of real characters inserted between various scenes. 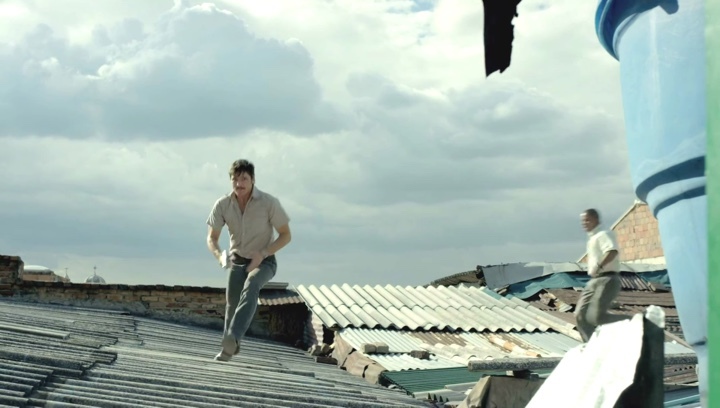 I particularly remember the end of the last episode where as the final chase after Pablo is over and he’s there on the roof, it cuts to the photograph of the real Pablo in the same exact position. Carmen: We wanted to shoot on the real roof, and the location manager made inquiries. But the owners of the place got greedy. 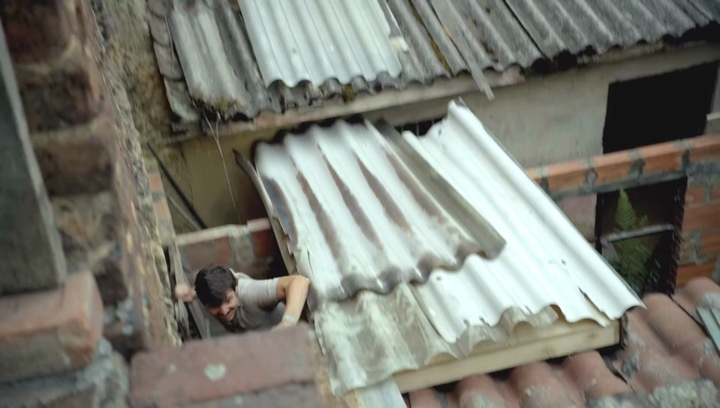 Other shows about Pablo Escobar have been using that roof a lot, and the owners wanted way too much money. Your neighbor has a roof that looks the same [laughs], and that’s how we ended shooting it two roofs over. Kirill: Do you get to enjoy watching productions that you’ve worked on? You’re there on the sets every day for weeks and months, and you know the scripts and what is going to happen when. What happens when you sit down in a theater or in your living room to watch one of those? Carmen: Of course. That’s the big payoff, and I think I’ll never get tired of it. You see how it all comes together. It takes a village. I think of a film like a baby from so many parents. Everybody planted a seed for that baby. Sometimes you don’t know who made what possible. For example, on “Narcos” I didn’t do anything in post-production, and I didn’t know how it would be edited. Then I went to the premiere in LA at the ArcLight theater, and I loved it. I watched the whole season and I absolutely loved it. Sometimes I’m allowed to go to the premieres of my movies. Sometimes I have such a close relationship with my director that they wanted me to be there during editing or color correction, to get my opinion on the cuts. It’s fun to be a part of every stage. Even the movie doesn’t turn out well because somebody didn’t do a good job, there are always good things about it that are rewarding, things that put a smile on my face. Kirill: As you look back on your earlier productions, what stays with you? Do the things that, perhaps, annoyed you during the production itself fade away and you only remember the good parts? Carmen: I remember everything [laughs]. I always remember those challenges that we talked about. How did I solve those? And I always remember the things that didn’t work out. It’s very important to not make the same mistake twice. If we go film by film, I’ll tell you exactly what didn’t go down. My biggest frustration with past productions has always been with regards to the art department. I think it’s all related to the budget, and I don’t want to blame it on particular people. People need to be honest, especially on independent productions. When you have a conversation in pre-production and you discuss a set and things that are going to be crucial for many reasons, and the art director promises you very specific things, you rely on that. And then you get on the set, and out of that entire list you get maybe a quarter of it. That absolutely sabotages me, and that was my frustration with “Assassin X”. There were almost no sets. There was this movie with a great story, a great cast and a great director, and the sets were awful. My job is to capture and tell that story. But then it becomes a question of how to hide the fact that we don’t have a set. How do I hide the fact that there’s nothing there? You’re battling the wrong thing, and that makes me angry. That happened to me several times, and I started to get more involved with the art department in pre-production. I want to go shopping with them. I have a music video to shoot this Saturday, and I told her that I want to go shopping with her and to make sure she has the right lamps. She might be short on her budget, in which case I’m willing to give her a chunk of my lighting budget to make it happen. They all sound amazing until the day, and then some turn out not to be that amazing. I don’t trust the art department, and that goes hand in hand with cinematography. It’s that base that the camera is looking at. Kirill: There’s not as many mid-budget films being made these days. We have a bunch of really expensive, mostly sci-fi, tentpoles, and a lot of low-budget indies. And pretty much everything that was in between looks to have migrated to episodic television on prime cable and streaming networks. Carmen: Absolutely. It’s a conversation that I hear often. The producers are aware that for some reason the financiers are not investing any more in the mid-range movies. A movie is under $1M had a decent chance of making the money back. Then you have movies from $60M and up, with big stars attached to it and a big budget for effects, and those have a big chance to return that investment. But movies that are in the $3-5M range are in a limbo. For some reason the industry is leaning towards a cast-driven content. That is a challenge that I see for a lot of films, including those that fall into my lap. The stories are amazing, but they cannot get the financing. The financiers want them to first attach a big name before they will put up the money. But in order to attach that name you need to have the money to make a proper offer, and to get a casting director. It becomes a chicken and the egg problem. I constantly see this pattern. It’s a pity. I go to the American Film Market every year to spy on the whole process. I started taking the films that I shot with different productions, and talking about them. And the distributors don’t want to talk about the story. They want to know who is in it. I tell them that it’s such and such actress and this is what she did before, and they say that they’ve never heard of her and they are not interested. Some are forgetting about the films and the TV shows themselves, and are only talking about the cast. It’s almost as if the cast is going to guarantee you your return. I don’t know how this started, but it is a problem. There is a decline in the quality of cinema nowadays. I look at some of the best films in my opinion from the ’70s and the ’80s, and nowadays it feels that you see films that you’ve already seen. There are too many superhero movies. Kirill: Those feel like safer bets for the studios. So they keep on doing one more Ironman and one more Avengers, and then do a couple of “prestige” dramas to get into the Oscars race. Carmen: That’s definitely what is happening. My speculation is that part of the blame lies with the numbers. The numbers have shown that the biggest theater-going audiences are children and teenagers. As a parent you have to entertain your kids, and a movie theater is a very convenient way. So kids’ movies are almost guaranteed to make a lot of money. And teenagers have so many restrictions on what they can do with their free time, so what do you do? Once again, you go to the movies with your buddies. So you have a lot of films that are targeted towards that audience. The more mature audiences in their 30s, 40s and 50s are home. And when you think about the theater, you do the math of the tickets, the popcorn and the parking. Suddenly it’s $50 to go to see a movie [laughs]. Our audiences have stopped going to the movies. And it’s a cycle, because those movies with great characters are now few and far between. After spending all that money and being disappointed so many times, we start being more skeptical about going to the theater. You say that you’re only going to go and see something if it’s a big thing, if it’s in 3D or needs a big screen like “Logan” which I saw in a large screen and I absolutely loved the film. But if it’s just a drama, people wait until it’s available at home. We’re creating our own monster in that cycle, just like we’re creating our own monster when it comes to economy and labor. It’s cheaper to hire labor abroad for all the effects and the bulk manufacturing, and as we don’t support the local labor, there are not as many jobs and less money here. Price wise is tough for smaller local businesses to compete. Who is to blame for that? I think, in a way, it’s us the consumers that are a part of the problem too. There has to be a balance. We can do business with other countries but we also need to support our own industries and our own artisans. Kirill: You’re painting a very pessimistic picture of your own field. Carmen: I am, but I think that everything goes through cycles. Look at the history of our society. We have to hit the rock bottom and go through a crisis for something beautiful to bloom. And all the bad things that are happening doesn’t mean there is nothing beautiful being done. 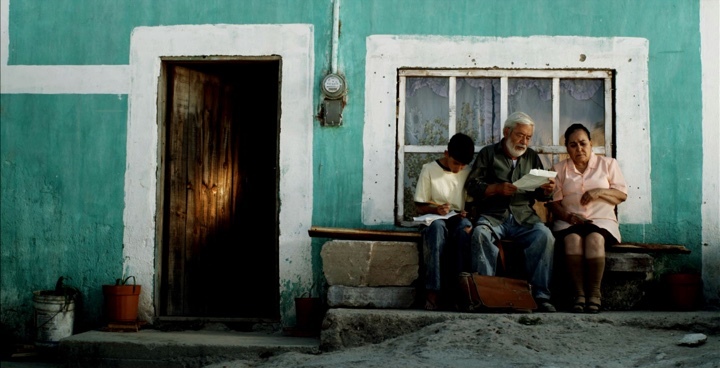 I absolutely loved the French movie “My Angel” that was at Camerimage festival. You look at “Moonlight”, and even though it wasn’t my favorite at the Oscars, the fact that it won the award for the best picture is a huge deal for industry and the society at large. It’s an independent movie with a budget that was not super-high. The cast was great, but they are not huge stars, and it won the recognition, especially after last year’s complaints about the line-up being so white. People are noticing the problems that I’m criticizing. Things sometimes have to go bad so that they can become better. I’m excited to be around when they do get better and in the meanwhile I am planning my own film revolution. Carmen: I want to have a film financing firm, hopefully two years from now if not sooner. Instead of people coming to me to hire me as a cinematographer, I’d like to look at projects and prospects, and invest in those that I believe in. I want to give new filmmakers and those who want to push the envelope the tools to do it, and do it without the restrictions that they are facing right now. It’s the restrictions on the cast, on what has to be in the frame, on the patterns to follow. I want to push real talent. I think that’s possible and I’m optimistic about it. Kirill: Sounds like you want to have your own studio and you would be the producer. Carmen: In its own way, and I hope to do that very soon. Kirill: You said that you were working on “Narcos” for the better part of the year in Colombia, away from your family and friends. What keeps you going? Carmen: It’s those moments when I’m looking at the completed project. I remember the joy that I experience when a project is seen by an audience. That keeps me going. It’s an addiction. I look forward to doing more and more, no matter how long it will take, just so that I can keep on experiencing that. My clients are a constant reward in my job. I recently completed three jobs with three different directors, and each one sent me a text about how amazing it was to work with me. That alone is the reason for me to live. That makes me happy, to know that I’m helping people to do what they want, to feel that I’m appreciated. I think that what I crave the most in life is to be of service and to be appreciated. And as far as my family goes, it is a bummer. I just saw my dad, and when I left him in the airport, I cried like I always do when I kiss him goodbye. It’s hard when your family is far away. In this industry sometimes you’re on top going non stop, and sometimes all the projects that I have fall through. You start wondering when you’re going to get the next paycheck. You have to keep in mind the reasons why you’re doing it. You have to believe in your own cause, and to not be discouraged by the challenges. Those challenges will always exist because otherwise life will be too boring when you’re always at the top of the world. You have to go through that to stay humble, and to remember that it’s about people. In the end, it’s not even about movies. It’s all about people, and that’s what movies are about. They are about people doing things, going through something, overcoming challenges and making mistakes. That’s beautiful. Kirill: When it’s well made, I as a viewer forget those harsh rectangular boundaries of the screen. I’m there, in that world, for however much time the story takes to unfold. And if it’s a great story, I stay in that world for long after the end titles are gone. I think about what might happen next, and that’s one of the more exciting parts of it for me as a viewer. Carmen: Sometimes when you watch a movie, it carries that message into the current moment of your life. You go through something personal in your life, and you watch a movie where a character says something that just hits you. It hits home so hard, and it may even affect the decisions you are making. You’re planning to do something, but it touched some string and you don’t want to do that any more because your eyes have been opened. Kirill: It doesn’t have to be something that I’m directly experiencing even. A great story might resonate with you and you start associating yourself with certain characters without necessarily having to go through what they are going. Carmen: We have a very similar taste, because that’s what attracts me as well. This is what sort of kept me a good person. You see see people in a fiction story going through hell and back, and living through the consequences, and it makes you reconsider your own frame of mind. I’m not a big fan of superhero movies, but there is one aspect that I do like. It touches on doing right and wrong, on being loyal, on making a difference, on standing up for something. I think we all need heroes in our society, and not even just one. There’s a quote that I like, that would translate into something like “The importance of the least important”. Sometimes it’s the person that you suspect the least, somebody “insignificant” that ends up blowing your mind with what they do and how they carry themselves. Those are the real heroes to me. Society should appreciate and pay closer attention to the average person. There are a lot of heroes that camouflage as everyday people, and they are quite inspiring. I like to see more stories about them. Kirill: Well, for now we have a lot of reality TV shows. Carmen: To me that’s the apocalypse [laughs]. I think that is going to ruin this generation. People mimic what they see, and when they watch those shows, they think that’s the way they need to live and treat people. You start believing in those “values” that could be nothing further away from reality. That’s when I start sounding like an old lady [laughs]. On the other hand, when I look at Pixar movies, I cry during most of them. And I’m not a cry baby. It takes something big for me to cry. Those films have really good and big messages in them. I think it is very possible to entertain and at the same relay a message. And here I’d like to thank Carmen Cabana for taking the time out of her busy schedule and graciously agreeing to answer a few questions I had on the craft of cinematography and on what went into creating the beautiful world of “Narcos”. You can also find her on Instagram. And if you want to know more about how films and TV shows are made, click here for additional in-depth interviews in this series.